Tomorrow the DFW Costumers Guild heads to the Fort Worth Museum of Science and History to see the Titanic Exhibition. I decided that since my previous Edwardian gown was more spring like, I needed a more winter look. This outfit doubles as my contribution to Challenge #1 of the Historical Sew Fortnightly group on Facebook. 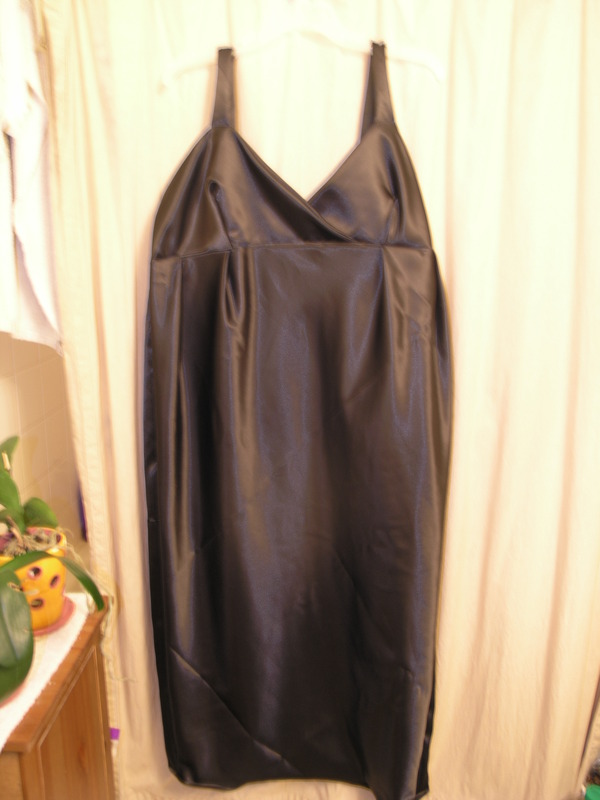 Front of the gown – I used pleats instead of gathering. I also made the straps a bit wider. I decided not to make the belts or bows. I’m in my 40s – I don’t need a bow on my rear-end. I also decided not to add the sash (it would drape over the belt under the bodice. 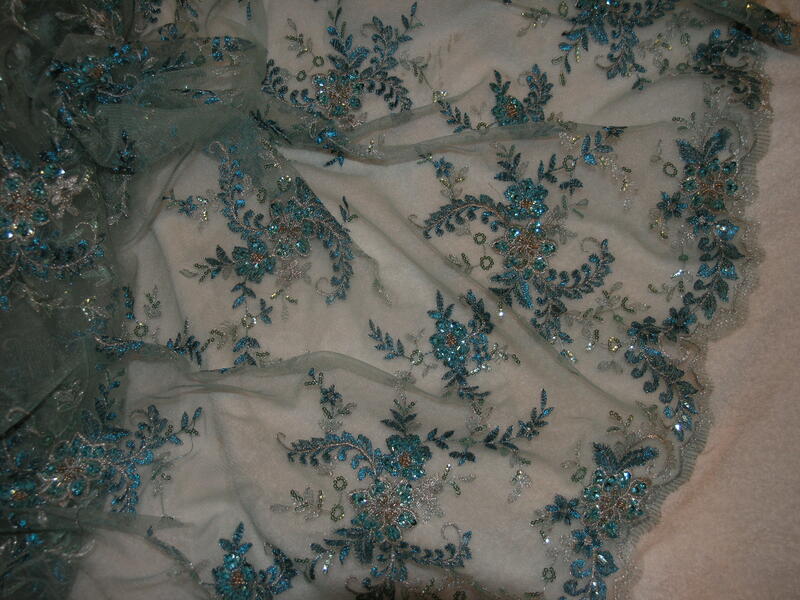 Back of the gown. You can see here the pleats I decided. All that still needs to be done is add fasteners. The pattern suggests a zipper, but zippers were still uncommon in 1913, so I’m going to use hooks and eyes. You’ve already seen what the tunic looked like without the fur trim on it. 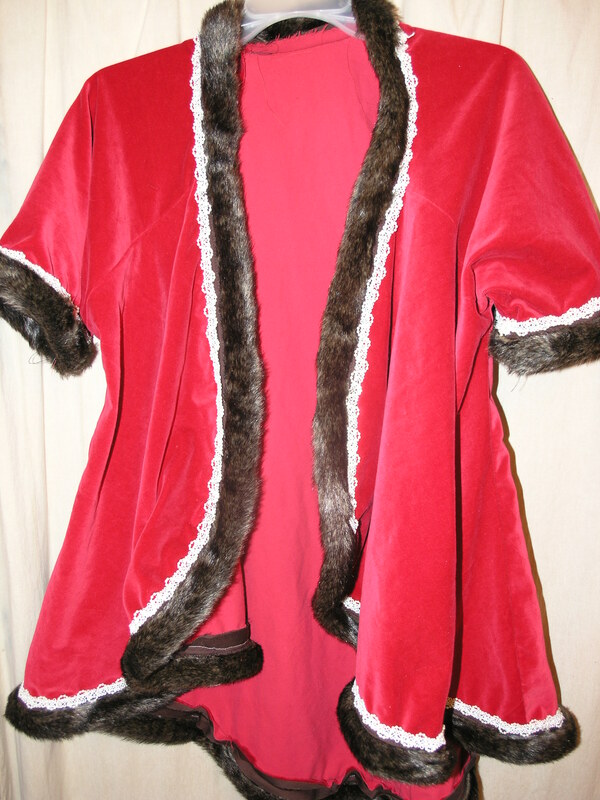 The main change I made to the tunic was shortening the length of the back and slight changes to the sleeves. The tunic is now finished! 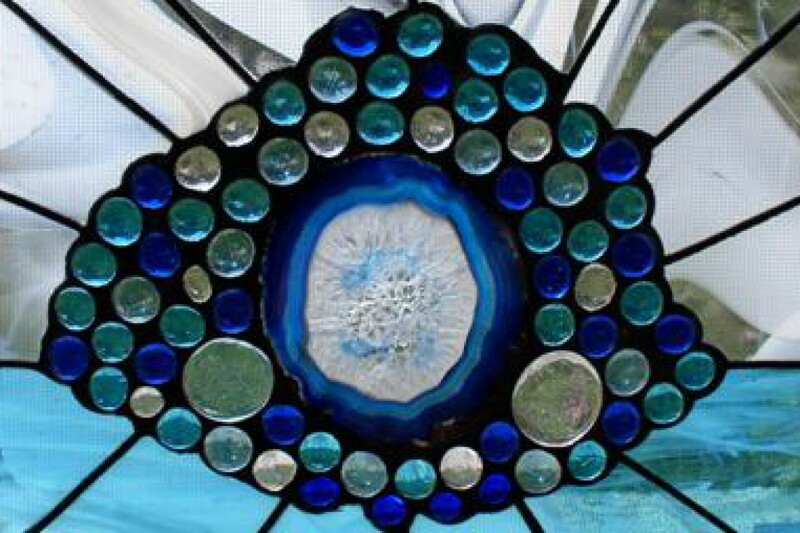 I added some trim that has small pearls in it. 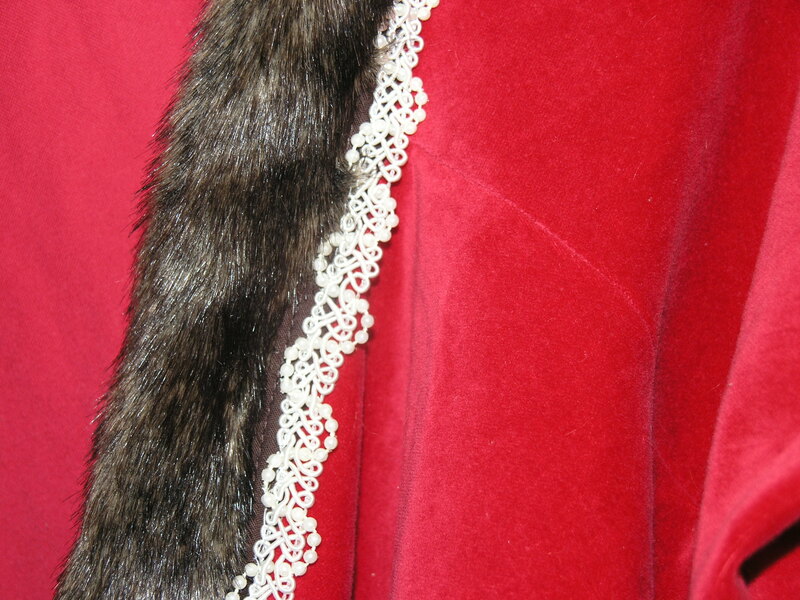 Closeup of the velvet with the trim. I’ll post a photo of me wearing it tomorrow. The base pattern is Folkwear 265, but I had to make some changes. 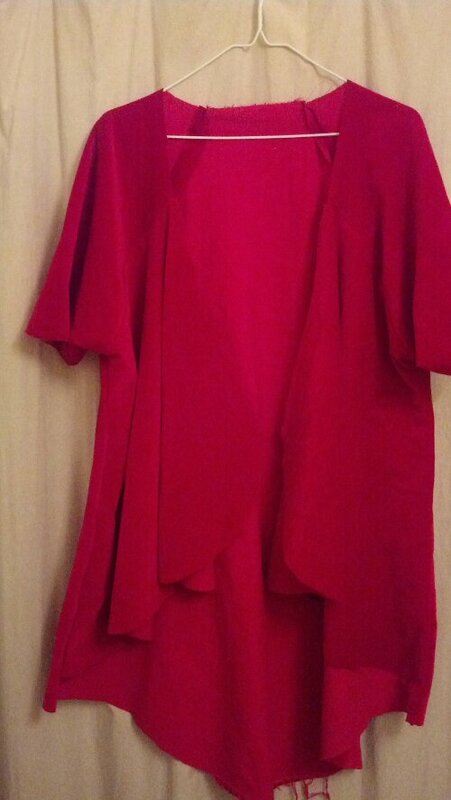 The fabric is the red, cotton velvet from my Doctor Who, The Woman, costume. I still need to add trim around the edges. Today I went with Tereasa and joined other VPLL 1912 Project participants for a day of sewing & crafting. Becky was gracious enough to open her home to people she’d only met on-line. Others that joined the party were Cassie and Lynn. Becky was excited over the 1920s treadle Singer that Cassie brought down to her. Lynn brought some vintage feathers that would look great on any hat. 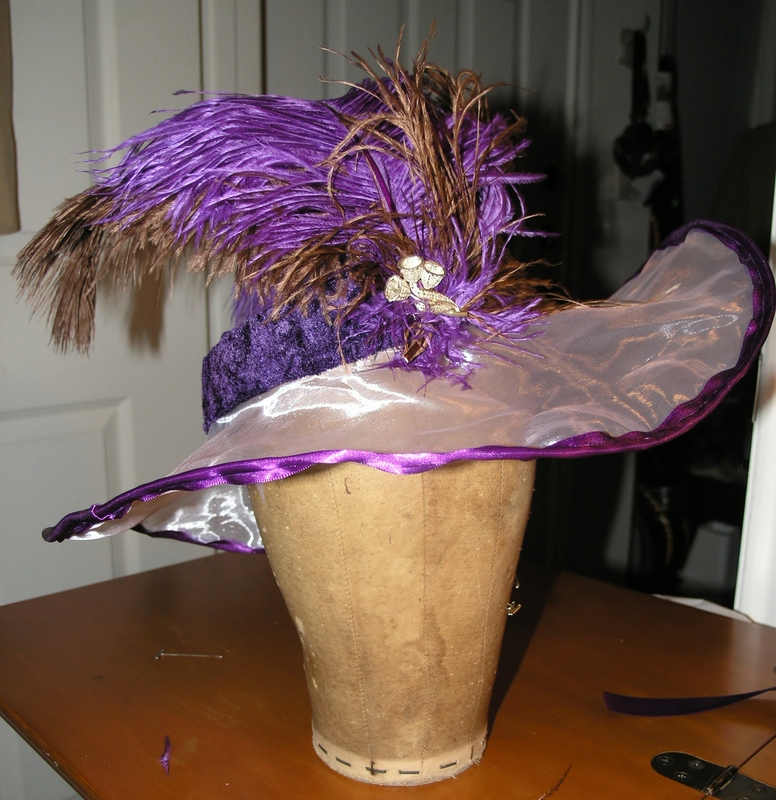 Tereasa worked on a hat & some hat pins. 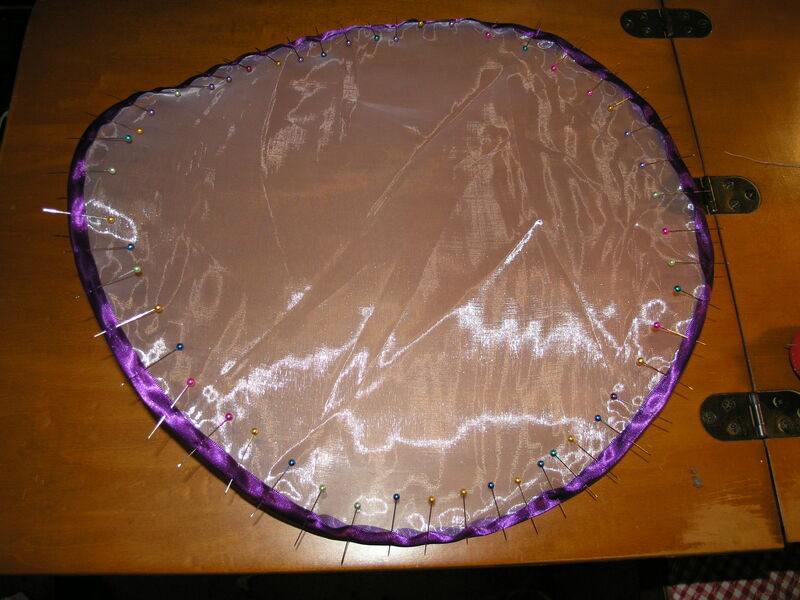 And I did the hand sewing on the waistband of my bat skirt and pinned the 2nd row down. 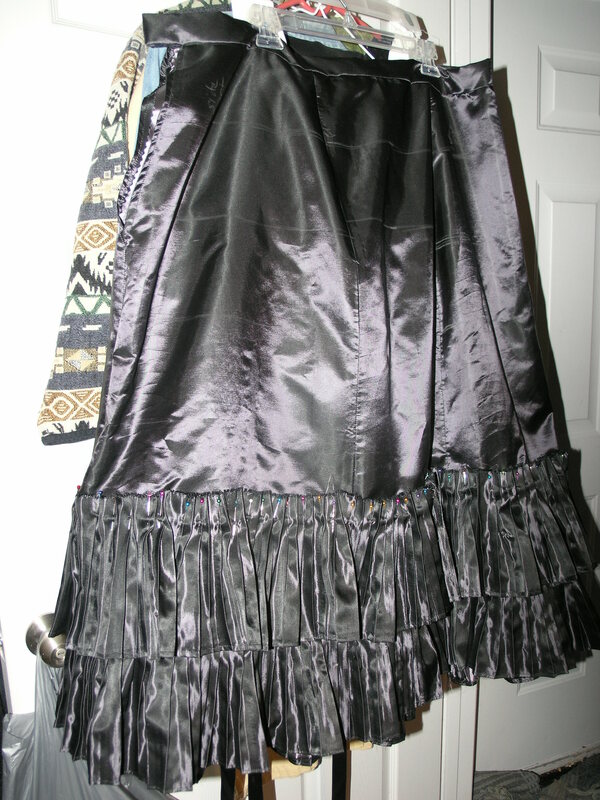 The heat wiped me out after we left Becky’s, so, I’ll tackle more on the bat skirt tomorrow. Well, it’s done! But not to say I won’t make some changes to it down the road. The feathers are currently attached with the vintage pin (the pin belonged to my grandmother). I finally got started on my Edwardian gown & hat. My colors will be bronze and purple. 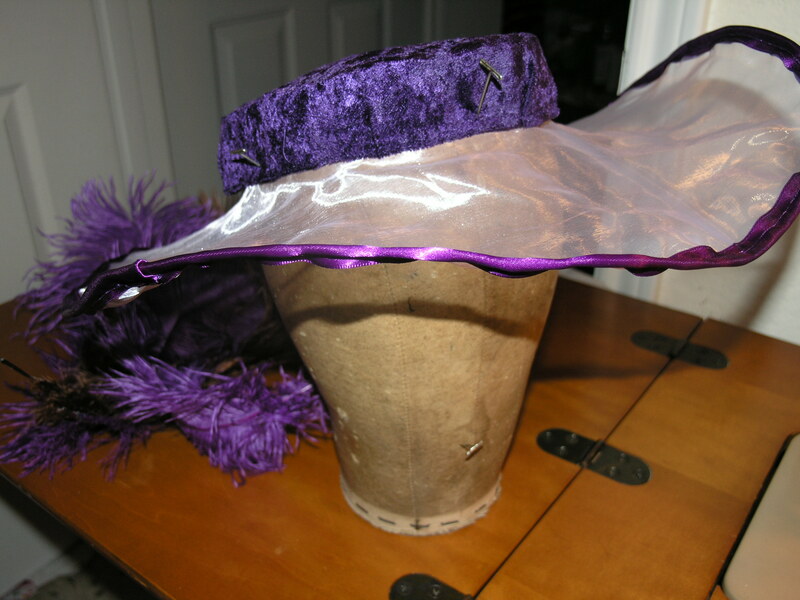 Here’s the beginning of my hat. This is for Kayle’s 1912 gown. I totally splurged on it but I got a deal at the same time (it was the last 3 yards on the bolt & they gave me a discount on the amount over what I originally asked for). It’s just a white towel under it to show the colors. 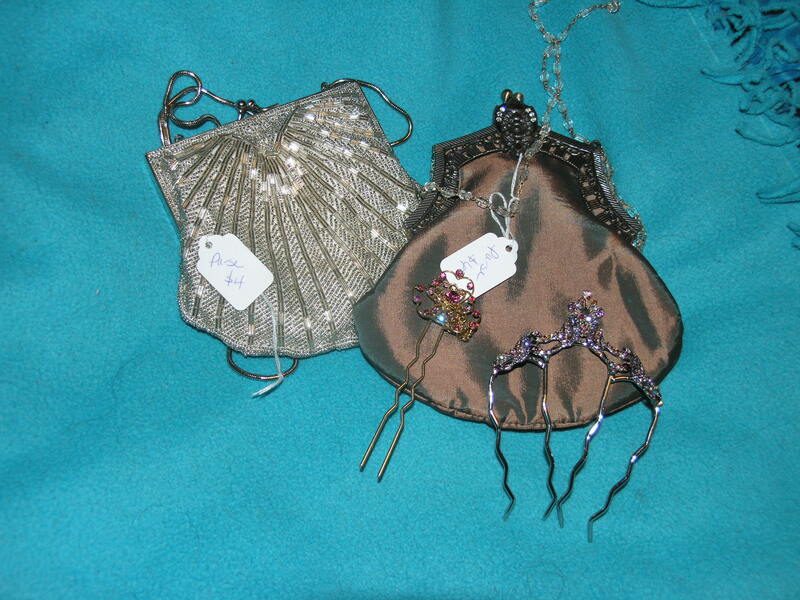 Found these 2 vintage purses and newish hair combs. The hair combs were $5/each and purses $4 & $6.